Blogging is truly an art, and it takes great skill to craft a piece which will do exactly what it is supposed to. You can’t just slap something together and throw it out for the world to see, believing it will get people interested in what you have to say. Besides ensuring your content is high quality, freely flowing, and genuinely interesting there are a few things you must be sure to include in your post. Let’s take a look at what those things are so that you can move forward with crafting the perfect blog post. Too many blog posts are simply written without anything clear the reader can take from it. 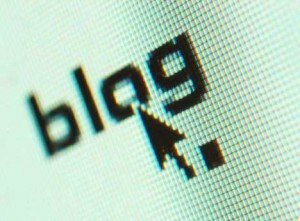 Blogs without a point are easily forgotten and rarely have anything of importance to offer. It is for this reason that you should fully plan a clear and precise point to your post prior to writing it. Somewhere in your introduction you should state what your point is so readers know directly from the start what your post will relate to them. Not only should the point of your blog be clear and precise, but it should also be something worthwhile to whoever decides to read it. Regurgitating the same thing over and over again is not only boring, it’s also useless. People will already know what your blog has to tell them, and this means that they probably won’t read it. If they don’t read your blog then of course it’s not going to convert into sales or drive people to engage on your site. So make sure whatever you are writing is worthwhile. Good examples which are relevant to the subject matter serve multiple purposes. First, it can actually help to keep people interested because it switches things up a little. Second, it helps people to better understand the point you are trying to make. While good examples can really amp up a post, you don’t want to use too many either or things become dull. One or two examples is your best bet. Anymore may be going overboard. High quality images lend professionalism to your blog. It also helps to better entertain your readers, as well as make your point clearer. With as many purposes as these images can serve there is no reason to skip them. While, like good examples, you shouldn’t overuse images in your post you should definitely always include at least one. Use no more than one per 500 words in your article to ensure you don’t overwhelm your readers with pictures. This one should be obvious. An engaging blog title (also known as the headline) is likely the first thing your readers will see in reference to your post. It is the driving force behind the majority of your post views. With an engaging title you can bring in more people so that your engaging material can keep them entertained. All blog posts should include a call to action. A call to action should direct your readers to another blog post or area of your site where they can continue to be engaged. Engagement is key because the longer someone stays on your site the more likely they are to remember your company. More engagement has also been proven to directly relate to sales. Your call to action should be strong, well worded, and visually appealing. If possible you should use a linked picture. Including these simple things in each blog post you write can help to make your material more engaging, more effective, and more interesting. Make sure you use these tips when crafting your next blog post and start seeing the drastic differences it can make.